Taiwan's AsusTek Computer Inc. revealed today their newest product, the "Eee Pad." 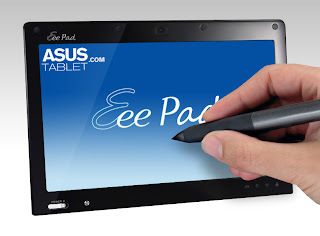 Eee Pad is a tablet PC that runs on Microsoft's Windows 7 operating system. The said tablet PC will go on sale on the first quarter of 2011. The 10-inch Eee Pad will sell for $399 to $449 compared to the costly iPad, which costs $499, $599 or $699 depending on the data storage capacity. So what's the plus side with the Eee Pad? Aside from the Windows full support, it comes with a web camera and it is Adobe Flash capable. You can now watch YouTube!